I read this article and found it very interesting, thought it might be something for you. The article is called The future of legal services is good for lawyers and consumers and is located at https://www.rocketlawyer.co.uk/blog/future-legal-services-good-lawyers-consumers/. Lawyers have nothing to fear about Artificial Intelligence replacing them in our lifetimes, despite predictions that they will. In fact as the legal sector modernises we’ll need more lawyers to meet the increased demand for legal help from consumers and small businesses. I recently spoke at the Society of Asian Lawyers event on the Future of Legal Services hosted at the Law Society in London. My view is that the legal sector in the UK, and the rest of the world, still has some way to go in terms of modernisation, but as it does modernise through the use of technology, excellent customer service, and transparent pricing, then the demand for legal services is only going to increase. Most consumers and small business avoid getting much needed advice when they face a legal issue, because they’re unhappy with the service they get from traditional lawyers. So they typically go online to solve the problem for themselves. But when lawyers team up with other professions, like technologists and retailers, then they can create winning combinations that provide the innovative, online services that these days we have all come to expect and demand. 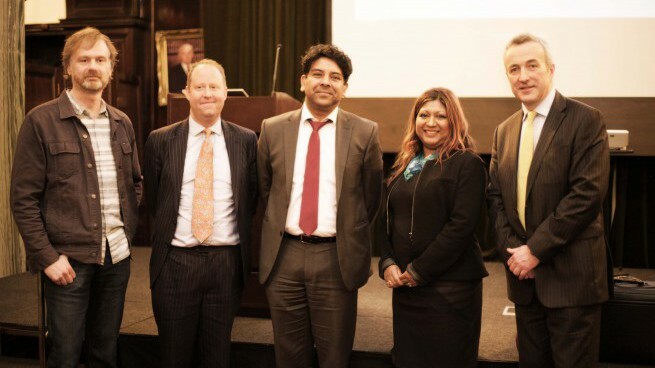 I spoke on a panel with Robert Bourns, Vice-President of The Law Society; Nadeem Thanvi, partner at ITN Solicitors; James Naylor, Partner at CG Naylor LLP; and Sunita Mason CBE, District Judge. Each provided a unique view on where the legal sector is going and has to go in order to meet the needs of society and improve access to justice. My comments that provoked most interest are that lawyers have nothing to fear about Artificial Intelligence replacing them in our lifetimes, despite predictions that they will, and that as the sector modernises we’ll actually need more lawyers to meet the increased demand. I’m not the only person saying this. Others are arguing that robots replacing lawyers will not be far-reaching, and that AI will be first used to ‘enhance’ lawyers, allowing them to work more efficiently and so become more affordable.